The Wahine Disaster took place fifty years ago. Today we reflect on the loss of fifty one people on the 10th of April 1968. This tragedy resonates strongly down the decades. The Wahine Disaster played out across the nation’s television in grainy black and white, and the newsroom brought the story to our living rooms. The ferry’s proximity to shore where people watched helplessly certainly added to our sense of powerlessness in the face of tragedy. You can watch some of the original footage on NZ On Screen. 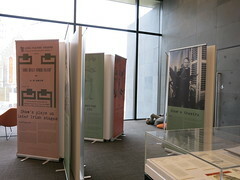 There is also a collection on NZ On Screen of documentaries about the Wahine Disaster. Ngā Taonga Sound & Vision has audio reports of the Wahine Disaster. 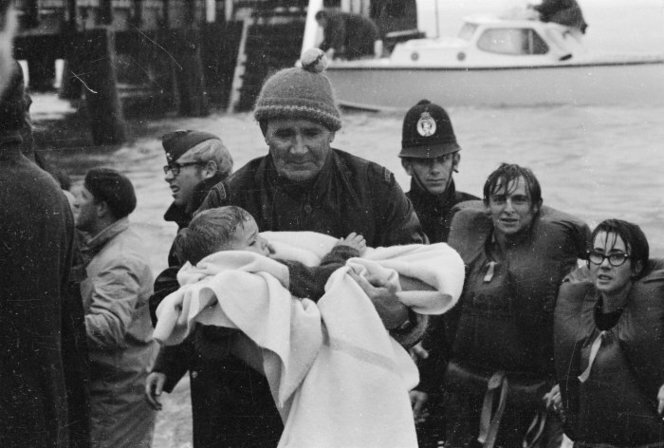 This recording contains radio news coverage of the sinking of the Lyttelton–Wellington ferry ‘Wahine’ on 10 April 1968. It was filed on the evening of the disaster and contains a detailed description of the cause of the disaster, the death toll and the search and rescue scene. The storm affected many parts of the country including Canterbury. It tore of the roofs of houses on Canon Hill and forced many homes in Sumner to be evacuated. I recall my parents pointing to the wreckage, which was still visible for many years, as we neared Wellington on our ferry voyage. Each time there is a rough ferry crossing, the fate of the Wahine ferry is remembered and our thoughts are once again with those who died and with the survivors of that ill-fated voyage. Our page on the sinking of the Wahine. Wahine Disaster from NZ History.net. 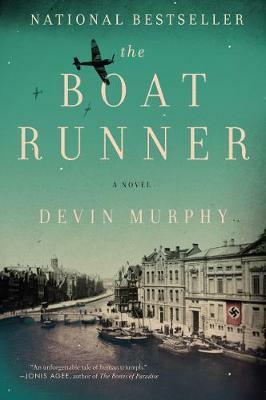 When you read Devin Murphy’s immersive coming of age novel The Boat Runner, you are carried away into a world where doing the morally right thing no longer seems so straight forward. Devin Murphy spent eight years working on this debut novel, inspired by his own and his wife’s family history. He draws on the stories of the war he heard as a child, and his own personal experiences as a young man exploring the oceans. He also incorporates his struggles to find his own purpose. Devin’s love of storytelling means he describes those little details that make you feel you are actually there. Exploring the moral perspectives of the Dutch and German boys thrust into the campaign, we see events through the eyes of 14 year old Jacob Koopman. Jacob’s story in the novel exposes how people came to accept the German invasion and the propaganda of the times, and how morally complex those dark days were. The book shows a young naive man striving to determine his own path when war threatens and family values are being reexamined. In his search to do what is right, he has to reexamine how he sees his family and what it means to be human. The novel traverses the pre-war days of the Hitler Youth Camps and the build up towards war. As war erupts, Jacob is quickly thrust into events beyond his comprehension, and we learn the story of the young Dutch boys thrust into the German war machine. It is a fast-moving tale of boyhood, honour, and bravery – tempered by painful realization of the horrors of war and the story builds toward the decision which changes the path of his life forever. Fake news is the Word of the year for 2017, according to Collins Dictionary. Facebook knows fake news is a real issue so how do we know what is going on? Can we trust the news media? Is the newspaper, if you still read it, worth the paper it is printed on? Can you trust Facebook not to be feeding you fake news to your profile? If you turn to social media, you soon discover hoaxes spread virally across every platform. So where do you go for reliable news, and how do you know what you are reading is real? Who is telling the truth out there? Is it up to date? Has it been verified? If it has just happened, there may not have been time to verify events as they occur. Check at intervals throughout the day to see if further reports clarify the situation and read other news sources to see how they are interpreting events. Try if possible to get first person reports from people on the ground rather than sources from half a world away where the events may be misinterpreted. Some news agencies will republish or rehash old news that may not be relevant to the current situation until they can get the full story. If it was posted or published a while ago does it still stand up and add to the overall picture. Every story is written with a different readership in mind. Why was this story written and for whom? Do they want to entertain or to sell you something? Is it free of bias? What does the contact us information on the website tell you about the organisation that published it and what they stand for? Does the website tell you about their writers? Are they qualified to comment? Try googling the author to see what else they have published. 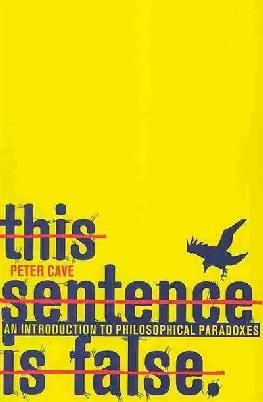 Is the story written in a way that is trying to sway you to their point of view? How do your own beliefs affect the way you read the article and how you interpret it. Take a look at some other news sources to check if they have a different interpretation of events. Does the URL tell you anything about the source of the information? Is it from a trusted organisation government source or educational institution? Do they have links to supporting sources or does it look like speculation? If they do have links, check them out to see where they got their information from. If they don’t state their sources they may be being paid to spread this information. Is the story overstating the facts or using outrageous headlines to get you reading it? Is it a joke? Although sometimes truth is stranger than fiction it might be a satire or a joke, so take a look at the About us section of the website to be sure. Try putting it through the CRAAP test and see how it measures up. Currency, Relevance, Authority, Accuracy and Purpose (see this PDF handout from California University). Don’t trust me, check out IFLA for their on How to Spot Fake News and a great printable infographic to remind you. Finally, read critically and impartially. Does the news ring true? 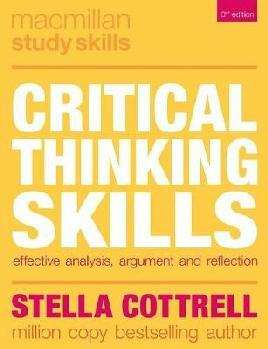 Find information about critical thinking in our collection. Lawrie Metcalf passed away on 18 August 2017. 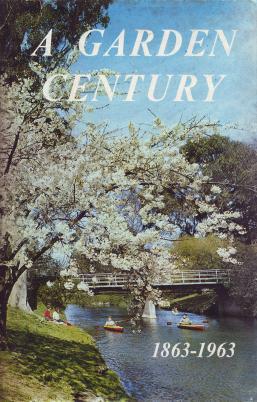 Lawrie Metcalf had a long association with the Christchurch Botanic Gardens as the Assistant Curator from 1955 – 68 and the Assistant Director from 1968 -1977. It was important to him to demonstrate how gardeners could incorporate natives into their garden and create a garden that truly reflected New Zealand, something uniquely our own. We can thank Lawrie for the native plant display in the Botanic Garden which was created to showcase what can be done with our native plants. Just like walking through a piece of bush this garden is the ideal place to take tourists to see native plants in a natural setting and an is an inspiration for the home gardener wanting to incorporate natives into their garden. He created displays that not only looked magnificent but also educated the visitor, placing the gardens on a solid scientific footing he also collected plants from throughout the country. As the botanist with the Canterbury Museum he collected live plants and herbarium specimens on expeditions to alpine areas in the South Island expanding scientific understanding of what grew there. Lawrie expanded the international seed exchange programme to send native plant seeds to hundreds of botanic gardens, receiving seeds from around the world to trial at the botanic gardens. Later moving to Invercargill, as Director of Parks and Recreation for the Invercargill City Council, he continued his work establishing a sub-antarctic collection at Queens Park. Lawrie was born in Christchurch and while at school Dr L.W. McCaskill (1900–1985) got him interested in growing native plants. He undertook his horticultural training and has gone on to greatly inspire young horticulturalists many of whom went on to hold senior positions. 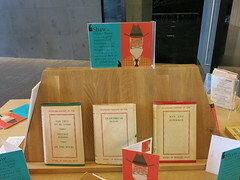 In his semi-retirement he ran a nursery in Nelson with his wife Lena and continued to publish books. 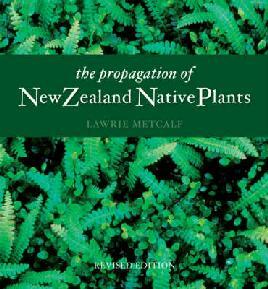 Lawrie had a crucial role in the registration of cultivars of New Zealand native plants, dedicating 55 years to the task during which he published an international register of over 800 hebes. He was president of the Canterbury Botanical Society and was awarded the Cockayne Gold Medal, The Loder Cup, Ian Galloway Outstanding Achievement Award, Veitch Memorial Medal and the Companion of the Queen’s Service Order (QSO) for services to horticulture and conservation. 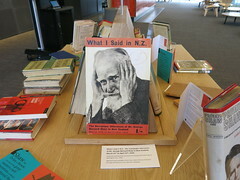 In addition his work was acknowledged earlier this year with the naming of the herbarium at the Botanic Gardens the Lawrie Metcalf Herbarium by the Christchurch City Council. 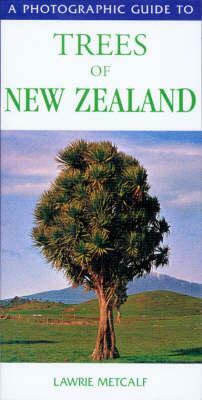 Lawrie used his love of photography in his many books the most well-known of which is The cultivation of New Zealand trees and shrubs, originally published in 1972. 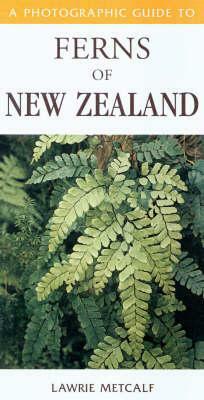 This book gave Kiwis the knowledge of how to identify, grow and care for natives with confidence and was written in a way anyone could understand. 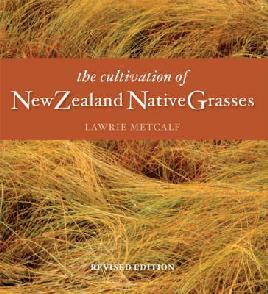 The landscaping trend towards natives shows no sign of abating and Metcalf’s books on native plants, trees and shrubs, alpines, grasses, ground covers, ferns and hebes, all written in a practical style and imparting a wealth of scientific knowledge, will continue to inspire New Zealand gardeners and horticulturalists for years to come. The Atomic Weight of Love is the debut novel of Elizabeth J. Church and I hope we see a lot more books from her. 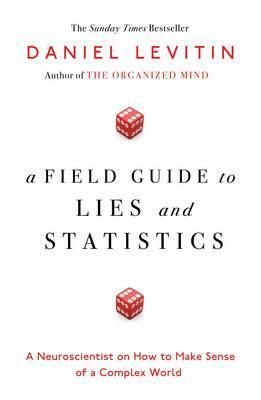 This book is an ideal Christmas present. It appeals to a wide audience and will make a great holiday read and is not without a little racy love interest. Meridian has won a place at the University of Chicago where she studies ornithology working towards a graduate degree and eventual doctorate. Just as her wings are opening and she starts to glimpse new horizons she falls in love with a college professor two decades older than herself and her wings are clipped. It is written in a memoir style following Meridian as a woman growing up in the 1940s through the fifties and sixties into the seventies and the emergence of women’s liberation. You will find yourself reflecting at times how so much has changed yet still remains the same. Meri marries Alden and follows him to Los Alamos where she attempts to fit into the group of ex-academic wives she meets there. It is the era when a wife is expected to follow their husband and make the best of it. She struggles to be a good wife while salvaging something of her studies by continuing to study Crows, having left her graduate study dreams behind her. The novel’s dual strands, the place of women with the emergence of the women’s liberation movement, and the atomic bomb with its resulting anti-war Vietnam and Korean war movements, almost splits it characters by gender over its two themes. Some of the characters could do with more development – they feel a little clichéd. It seems women have little to say on war in this novel and men little say on the home front. Even for the times this feels a little stretched. She skims over the women who Meridian meets in Los Alamos except her best friend Belle, a strong woman who urges her not to minimise herself yet when it comes to the crunch still tells her to stay in her marriage and try to make it work. That being said bird studies draw amusing parallels between human and bird society. Each section of the novel starts with an ornithological reference “A Parliament of Owls”, “A Deceit of Lapwings, “A Murder of Crows”. When Meridian meets Clay, a young hippie ex-marine about two decades younger than her, it seems they are about to repeat past mistakes. Her husband seems not to understand her sacrifice while her lover urges her to soar again. Read the novel to find out if she does. It is an enjoyable debut novel with a poetical style and reminds me of The Guernsey Potato Peel Literary Society, The Light between Oceans and The Shipping news. If you like nature and have a slightly scientific bent you will enjoy it and even learn a little physics on the way. “All eyes” I sure will keep my eyes out for those “virals,” “flyers,” “slims” or “smokes”. Justin Cronin had us all eating out of his hand during his interview with local young adult author Karen Healey. His motivation for writing his virals trilogy – still can’t bear to call them vampires – was his daughter Iris who was then something like 9 years old. A prodigious reader she had taken a look at his previous novels Mary and O’Neil and The Summer Guest and pronounced them boring and wanted to read a book about a girl who saved the world! Each day they would cycle around Houston and talk about what would be in such a book. Through this process he lost his inner critic. Iris has an audiographic memory (like a photographic memory but for sound) she would always know what chapter they where up to when returning to a book. She had lots of suggestions – there would be a girl with red hair like her and she named the characters. There was only one rule about what would be in the book – it had to be interesting. After a while he realised his current novel wasn’t going so well and he had 30 pages of notes so he thought he’d write the first chapter and see if it went anywhere – and here we are ten years later with the last volume of the trilogy. Why vamps? They are the most interesting out of the four monsters in human form: Frankenstein, werewolves, vampires and zombies. Although I wonder if he forgot about yeti, and Karen was putting a great case for old-fashioned fairies. He excuses himself saying those other Vampire stories were not on his radar, at the time Twilight had only just come out. At the heart of the vampire noir is the premise that immortality is a terrible state to reassure us that we would rather be human than live forever. He takes vamps and puts them into a new narrative and that’s what makes it interesting. Vamps but with a twist – you’ve always got to bring something else in to make it interesting like a road trip and a viral epidemic. He was inspired by a couple of B grade movies one called Near Dark directed by the talented Kathryn Bigelow. It blended to the western narrative of a drifters story also Magic Johnson had just come out and there was the AIDs epidemic. Justin’s not averse to a bit of vampire seduction but in a different way, a seduction utilising rhetoric. Fanning as the charismatic narrator, Fanning sitting around for all those years in a library reading books using language to seduce Amy. A rhetorical seduction to make us feel sympathy with him. Since you are running for your life what is the one thing you would carry with you? In most cases people would carry someone else, therefore you have a love story and bonds of community. Survival is not sufficient. We read end of the world stories for reassurance and resurrection is an important part of that. You need survivors to have hope for their children. You think what does it mean to have a child? A child is a deal you make with the future. Describing the novels as an apocalyptic western road trip, part of the inspiration for The Passage trilogy was the depressing world events at the time. Hurricane Katrina had just hit, G.W. Bush had been re-elected and a second less known Hurricane Rita had triggered an evacuation of Houston which he found himself in the midst of. One morning stuck on the motorway at 2 am going nowhere in a massive traffic jam watching the fuel gauge go down he did the maths and decided they weren’t going to make it out and made a u-turn and headed back home. Luckily the main force of the hurricane hit further off than predicted. He is interested in the response of community to disasters like the Christchurch earthquake how community survives. Community is a social lifeboat with a group of mostly good people who are resilient. “The vampires can’t see themselves in the mirror and after a certain age that is the case with everybody”. I look to nature things that creep me out like fish why do they all turn the same way like that? Crickets how they can jump so much further than their body length, the virals are like bugs in hives. He deliberately doesn’t describe the virals too much leaving it to you to bring the things that scare you to your picture of them. Everyone’s picture of a viral would be different. That’s why movies can be disappointing and on that topic he has sold the film rights but it may be a TV show will eventuate. TV shows are now where the story is at not so many special effects. Watching The walking dead and The Americans. When the guns don’t run out of ammo on The Walking dead, and cars start whose batteries would have gone for years and the tyres aren’t flat. You have to think these things through. 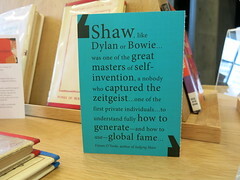 Find Justin’s books in the library before you enter the passage immerse yourself and find subject zero. 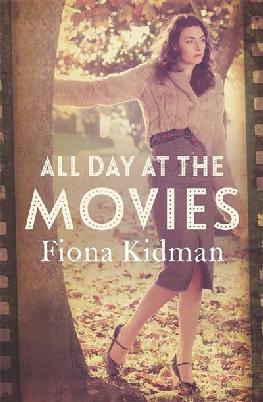 Fiona Kidman’s latest book All Day at the Movies explores what it means to be a woman in New Zealand. It’s an episodic novel set over six decades. She explores where families were at and where they are going now. Family is important to me as an only child I was often an observer looking in on families. But she also says “I try not to put my family into books”. This novel was inspired by the sight of abandoned tobacco kilns. Her father grew tobacco in KeriKeri and the memories of the Nicotiana scent drew her to setting her central character in the tobacco field of Motueka. The novel features a lot of pregnancies – as Owen Marshall observes, some more welcome than others. One of her characters doesn’t know who her father is. Fiona acknowledges pregnancy is a huge issue in women’s lives. She is an adoptive mother herself, and acknowledges adoption was not handled well in the past. 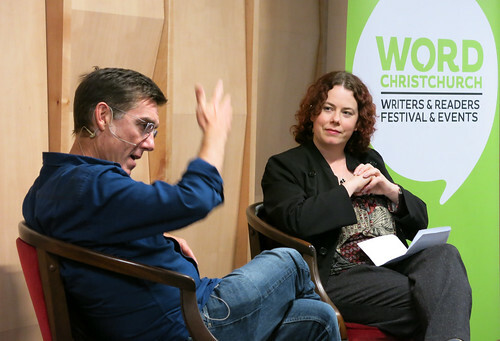 Recently her novels are set around a central historical character – but in this novel she wanted to say something about politics, how decisions made in Wellington affect people’s lives. Fiona has always been a political animal. She was part of the 1981 Springbok tour movement as explored in her novel Beside the Dark Pool. Exploring the social context her characters inhabit over the decades gives her a vehicle to say something about how Wellington decisions affect their lives. Looking at her characters as they deal with illegitimacy, estrangement, and abuse you may think she has a negative view of life and of men. But she says “I love men”. There are at least 5 positive men in the book, even though it may not seem that men come out well. “I have had a lucky life” one of her characters says in the novel (and she observes it of her own life) which ends on an optimistic note. She looks at the circumstances of her characters and why things happen without making judgments. Authentic characters are important – how real people deal with things and how it affects them in 20, 30, 40 years time. Her characters become very real to her – they stand at the kitchen bench and come for rides with her in the car. By the time she sits down to write a novel they have their own voice which has to be listened to. Sometimes she is ready to let them go after a novel, and sometimes they don’t want to go away and reappear in another form like her character Jessie Sandal from Songs of the Violet Café. Fiona has always been a feminist writer as is evident in A breed of Women. She sees herself not as a woman’s writer but a writer writing for women. She first thought of herself as a writer as a 22-year-old in the 1960s. It was in an era when it was embarrassing to be pregnant. She had worked at Rotorua Library and moved to Rotorua High School library when she married her husband who also worked there. When she got pregnant, students remarked “Got her up the duff eh Sir!”, leading to a request for her to leave the school. Such were the expectations of the era. She left and started writing – submitting a play for a competition. Her play evoked the comment that it must have been written by the dirtiest minded young woman in New Zealand. I felt I did know stuff about being a woman that a middle-aged man in Wellington seemed not to know. What am I doing sitting at the kitchen table, buying the kids clothes not preserving hundreds of jars and doing this. She worked as a secretary of PEN and the NZ Book Council and hoped to help authors think of writing as working. Her favourite genre is short stories but they don’t sell a lot of books and she loves poetry but working in other genres is necessary. She made as much money working in television in a month as writing in a couple of years. All have been useful in her writing work. Poetry is not so much thinking about the audience more spontaneous. 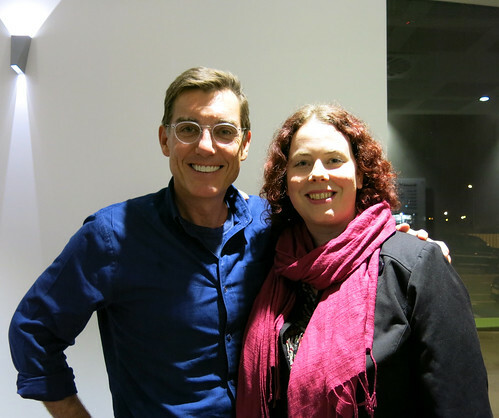 Read more about Fiona Kidman from her official website, The Academy of New Zealand Literature, The New Zealand Book Council, and Penguin Press. 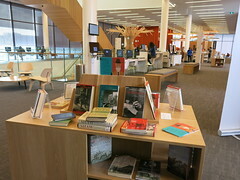 Find books by Fiona Kidman in our collection.